Amid spiraling healthcare costs, we helped a major US manufacturer to grow its culture of health and inspire employees to take their first steps toward behavior change. Storytelling platform. A corporation-wide storytelling contest became the platform to share personal stories of meaningful change. These stories inspired others to also find a path towards greater wellbeing and galvanized the company’s commitment to health and wellness. Behavioral science. The “One Step” concept (encouraging small, doable steps that lead to significant lifestyle changes) was informed by studies of behavioral science and culture change methods. Multi-channel corporate campaign. The multi-month event required a campaign that used and coordinated multiple channels of engagement—including embedded technology, video production, a corporate social media strategy and a dedicated website. A unifying force. The campaign created a rallying point around health and wellness that engaged the whole organization, from office to factory, to boardroom. Transformed lives. 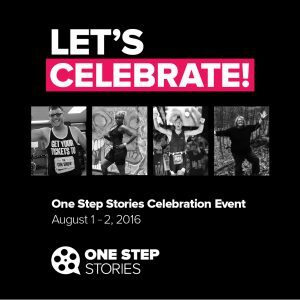 The contest captured over 170 nominations and 54 inspiring stories, producing 6 story films that continue to inspire employees and others to take steps toward their own wellbeing.